Gotta love your PC - viruses and anti-viruses, or are they? I write this as a warning, as I have been plagued by viruses (well that is what they are called but they are really fake anti-virus trojans, otherwise known as scams!) in the last year. And yes, I use a PC. Every time I have been infected by looking at images on a search engine. I have been in a continual battle of protection versus speed as I work at home on a less then new PC, which I have upgraded as much as I can. Last week I was infected twice. The only thing that brought my computer back to life was VIPRE RESCUE's deep scan. Sunbelt Software offers a free deep scan of your computer as many times as you need it, and it will clean your computer of them more completely then any other application I have tried. You can access it here. 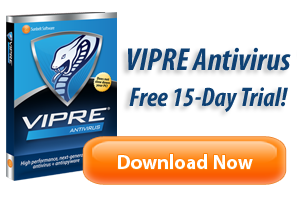 Now that this has happened so many times, and Microsoft's own Security Essentials seems to fail miserably to catch them, I decided it was time to purchase Sunbelt's anti-virus tool-VIPRE AntiVirus. They allow you to use it with full functionality for 30 days for FREE. So far in my trial, it has caught and cleaned a few for me. In my opinion, this one seems to be the best of all I have tried. So how do you know if you have been infected by one of these highly-illegal, fake anti-viruses, or any virus for that matter. If you are surfing along the world-wide web and your computer suddenly slows down for no reason you can see, you have probably just been infected. The slow down may happen gradually, and that should be looked into also. Fake anti-viruses will tell you, you have a severe infection and that the only thing that will clean it is itself, they will even make pop-up windows that look like windows of your security program. I am willing to bet that the security system you bought is not going to recommend you buy another. No one is that generous! If you click on one of those po-up windows, forget it, you will not be able to go anywhere until you purchase what they are offering, or as I have found you can access an anit-virus program that works!